Jennifer Faulkner July 25, 2017 | 12 min. When you hear the term “social selling” what comes to mind? No doubt it’s the spammy, cold messages that come in your inbox from LinkedIn or Twitter every day. And if you’ve discounted it as a way to generate leads, I get it. But it doesn’t have to be that way. Social selling can be an extremely effective business development tool. 71% of sales professionals already doing it, and 78% of those people are outselling their colleagues who don’t use social selling. It simply isn’t a flash in the sales pan trend. And, chances are, you may already be doing it yourself, you just don’t realize it. 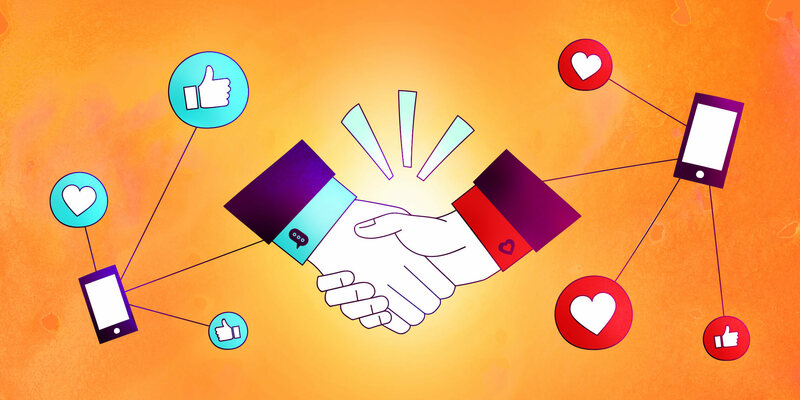 Social selling is leveraging your social network to find the right prospects with whom to build trust, nurture relationships, and ultimately achieve your sales goals. Beyond tweeting, “Hey! Check this out!”, social selling is about finding ways to authentically engage with people on social media who have a problem that you can solve, or a solution you can sell. The key is to allow people to engage with your brand on the platform of their choice. Social selling is basically a backlash against the age-old cold call. With 90% of people ignoring cold outreach, it’s obvious that sales professionals needed to find a more authentic, personalized approach to selling. "Beyond B2B or B2C, social selling is all about the H2H." Endorsing a sales lead or customer on LinkedIn. Liking and commenting on a client’s Facebook post. Sharing your company’s latest blog post on Twitter, LinkedIn, Facebook and Google+. Studying prospects on LinkedIn and Twitter before a meeting. Retweeting a client with your own comments added. The traditional golden rules of selling still apply to social. You need to understand your sales lead and their business challenges, you need to have a solution that can solve their challenges, you need to be able to recognize a good lead from a bad one, and you need to be able to articulate why your company is the better choice. Social selling isn’t a magic bullet to hitting quota; it’s an enhanced way to do what you’ve already been doing and get more effective results. If you’re skeptical about social selling or think it only applies to B2C products aimed at Millennials, you might be missing the sale. Or at least it’s dead as we know it, and dead in the way it’s been done the same way for decades and decades. "Why do we hate cold calling so much? Because we don't pick up numbers we don't know! Because we don't talk to strangers on the subway, and we don't open the door for travelling evangelists. You don't have my permission, and I like my personal space. That's the attitude. However, that dissipates the moment you decide to invest more time in the humanity of selling and less time in immediate gratification." Buyers are savvier than they used to be about the tricks of sales and marketing and technology. We need to embrace new ways to communicate, market, and sell. Marcus Murphy also talked about the four pillars of social selling on a recent episode of Proposify Biz Chat. People only buy from people they trust. You need to prove to your sales leads that they can trust you. By building a strong professional brand across your target social platforms, you can reinforce your integrity and industry expertise. You want your sales lead to believe that you’re the go-to person in your niche. As true with all branding, you need to make sure your professional brand is authentic and is consistent on all platforms. Part of building your professional brand is about positioning yourself as an authority who has value to contribute to your industry. Actively participate in your industry. Seek out speaking engagements, guest blogging, attend industry events, learn new things, and document and share your knowledge and experience. When it comes to social selling, you should always lead with value. “Earn people’s time, don’t expect it,” says Marcus. Traditionally, sales and marketing professionals viewed B2B advertising and outreach as not needing to be so ‘human’. B2C could use humour or emotion in their advertising, but there seemed to be this assumption that once people were at work and transformed into B2B clients, they stopped being human. And somehow that justified cold, sterile content that just focused on the standard business messages of make money, be profitable, and vendors were vendors, instead of being seen as valuable partners. People don’t stop being humans when they go to their jobs. You can still engage with them on an emotional level. Their specific interests and challenges might be different when they’re wearing their B2B hat as opposed to their B2C hat, but in the end the motivation is the same. They want to be helped, they want to have their problems solved, they want to live a happy, successful life. Start conversations. Real, human conversations. There’s been a massive shift regarding where people want to buy and where they want to start selling conversations. Don’t be that old dog who can’t learn a new trick because you’ll be left behind. Research new social channels you haven’t used before to see if your prospects might already be hanging out there. 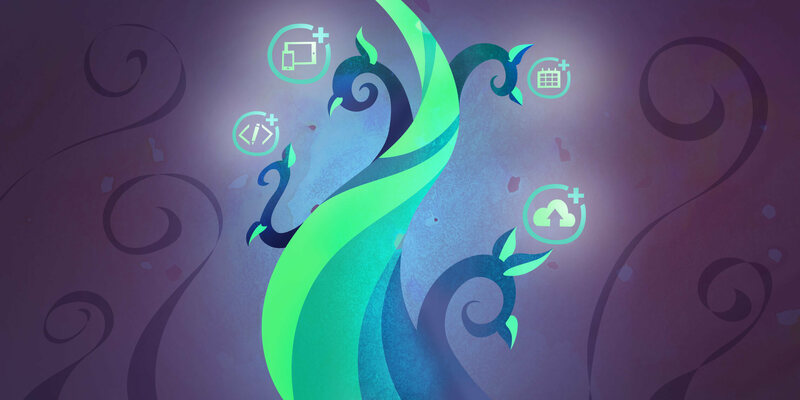 Develop content and engagement specific to that platform. We already talked about how the standard best practices of sales apply, and keeping the pillars above in mind, here are a few tips to put social selling into practice by platform. 50% of B2B buyers use LinkedIn as a resource when making a purchasing decision, and according to “The LinkedIn Expert” Viveka Von Rosen, it is the most powerful and effective business networking site. 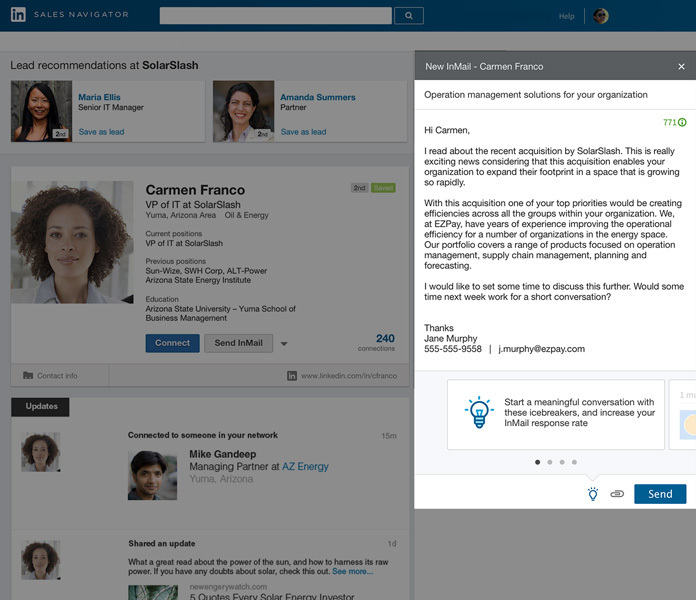 LinkedIn helps you build your brand, distribute valuable thought leadership content, and prospect new leads. Most people put up some of their resume on their LinkedIn profile and call it a day, but if that’s all you do, you’re really missing out on a huge opportunity to build your brand. Expand on the summary section right under your name - tell people who you are and what you do, include your unique selling proposition and testimonials. Add any and all kinds of media to your profile: interviews, podcasts, articles, videos, etc. Prospects are researching you as much as you’re researching them - you need to make it easy for them to learn about you and want to engage. If you’re rebranding or starting a new business, LinkedIn provides the opportunity to test your message. If you already have an active business, it allows you to promote your new book, event, product, service, etc. Viveka admits that she understands why people don’t think LinkedIn Publisher really works, but she’s a big fan and recommends that you start sharing your content - lots of content - on Publisher. While the thought of creating new content might feel overwhelming, Viveka says it’s totally OK to repurpose your existing content. Blog posts, podcasts, newsletter stories, white papers, case studies, or interviews you’ve done with other people. Any content that you’ve created on your own platform. A. Include calls to action that drive people back to your website, landing page, lead magnet, or wherever you need them to go to get them in your funnel. B. Include your contact info. If someone takes the time to read your article, and maybe even click through to your landing page, they have invested their time in you. Make it easy for them to then engage. She also suggests adding a link to a scheduling tool like Calendly so they can book a call or meeting. 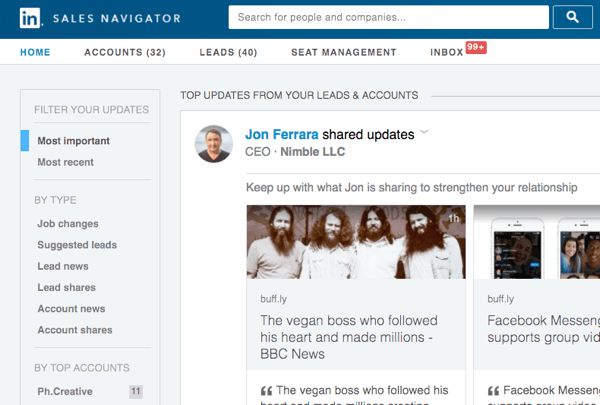 If you’re in sales and marketing or are a business owner, you need to have a Sales Navigator account. It’s a powerful tool that allows you to identify the person who’s your ideal lead, and then provides many ways to engage with them. 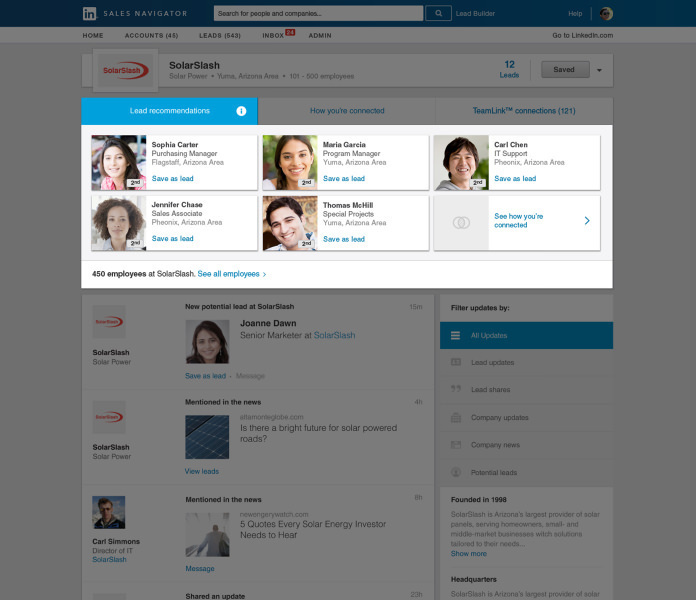 Sales Navigator helps you find exactly the right people and build relationships with them. 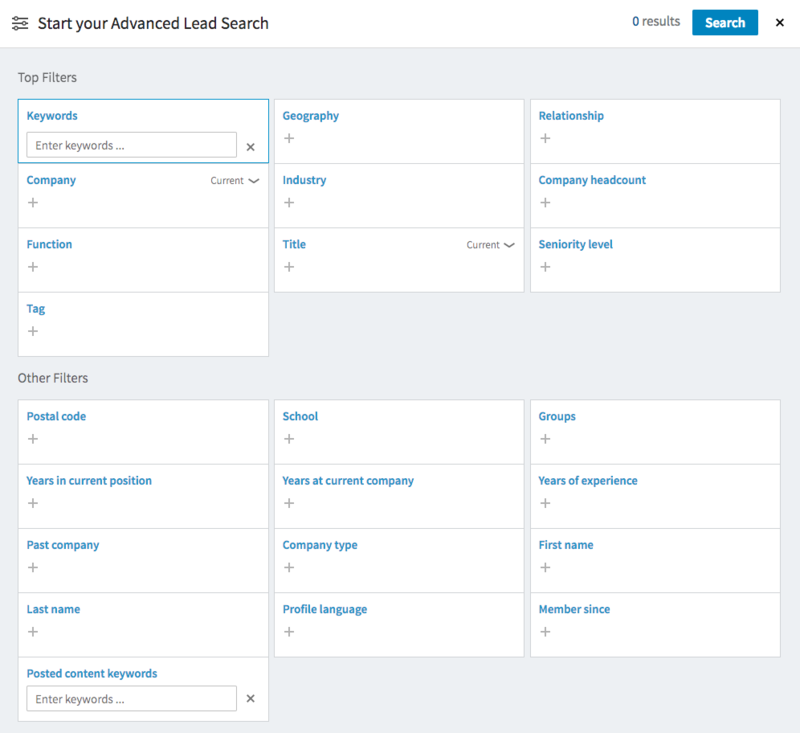 With Sales Navigator, you can start generating a private list of potential leads by searching company, industry, location, title, company size and more. This is why it’s extremely important to have clearly defined customer personas, and know who your ideal buyer is. As the saying goes, “If one does not know to which port one is sailing, no wind is favorable”. Sales Navigator also provides valuable intel on what’s happening with the prospects in your list. Did they get a promotion, change jobs, release a new product, publish an article? Information that can help you find an authentic, value-driven way to start a conversation. Once you have a list of some quality prospects and you’ve done your research on them, you can either ask someone you have in common to connect you, or reach out to them via LinkedIn InMail message. Now, before you cringe at the thought of all those bad InMail messages you’ve received and ignored, remember the difference with your messages is that you’re going to do them RIGHT. You’re not sending a cookie cutter spam-ish message. You’re sending a very targeted, human, value-laden message that will start a conversation, following all the good rules of social selling. Facebook is arguably the most social of the top social platforms out there. Facebook can lean heavily on the personal side while still delivering strong ROI for businesses. And with 2 billion active users, the power of Facebook for social selling (even B2B) cannot be ignored. Since some people don’t want to mix their business interests with their personal lives, setting up a Facebook business page to engage with customers and prospects can feel less invasive and more professional. Facebook lets you create ads where when a user clicks on it, it immediately opens up a Facebook Messenger window and allows the user to start chatting with a company rep.
Once the user starts that conversation, Facebook has artificial intelligence respond and give options on creating a sequence to engage with the lead. They can target conversation with people based on information Facebook has been gathering for years down to your likes, hates, everything you’ve ever done. You can also drop a link in an email or text that opens up a Simply link to m.me/yourfacebookpagename (eg: m.me/digitalmarketer) and it will jump straight into a Facebook Messenger. You may belong to some Facebook groups for your personal interests, like your local ultimate frisbee league, but niche Facebook groups can also be powerful tools for social selling. They can help you build your brand, establish yourself as an expert in your industry, provide a vehicle for sharing content, promote new products or services, and drive leads. The key about using Facebook groups, like all social selling, is to provide value to others. This isn’t the place for blatant self-promotion where you’re just talking about yourself and your company the whole time. You need to give before you can receive. You can set up a Facebook group that provides additional value for your customers, like tips and tricks, sneak peek on upcoming new product releases or features, and access to special content. 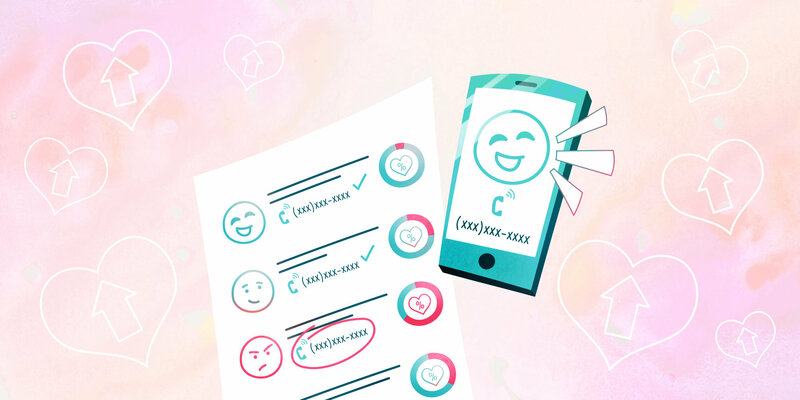 It’s a great way to keep your customers engaged with your brand while providing you with intel on what they’re interested in, how they interact with your product or service, new ideas for features, and potentially source upsell opportunities. A recent guest on Proposify Biz Chat, web strategy expert, Lindsey Anderson, AKA One-Click Lindsey, uses Facebook groups to generate leads for her business. Using a foot-in-the-door (FITD) offer in a private Facebook membership group for just $50/month, Lindsey runs a traffic and leads support group, providing advice and resources. This group is where Lindsey nurtures her own leads and ends up harvesting clients. As a result of the advice the members of the group receive from Lindsey and her team, they either succeed in their own business and grow their client base so much that they have to hire Lindsey to help manage it all for them, or they find it’s way too hard to do it themselves and they hire Lindsey and her team. The FITD nurtures leads and builds a community. You don’t necessarily have to charge for your Facebook group but you need to find a way to provide value, generate quality leads, and then convert those leads into paying customers. Engage with other businesses on Facebook like you would your friends. Like, comment, and share useful content. Maybe cut back on the cute cat video links, but share your content, share their content. Find ways to engage that can nurture a relationship, and potentially grow your network and your audience. Stay engaged with your followers. If they comment on a post or write something on your page, always, always respond, even if the comment is critical. The key is to appear interested, active, and in touch with what’s happening. Going back to the four pillars of social selling, how you interact on Facebook (and any other platform), is key to building trust. Social listening is a big part of social selling. Like in all sales interactions, you need to listen to understand what the conversations are about, and then you can strategize about how best to be part of them. Creating lists can help you monitor what’s happening with your various target audiences, like your existing customers, your sales leads, and even keep your eye on your competitors. This list should help you stay engaged and in tune with what’s happening with your existing customer base. Seeing what they’re talking about provides intel for opportunities where you can jump in to like or comment on their tweets, and provide extra value. It helps keep you top of mind, just don’t over do it. You’re selling, not stalking so be authentic and judicious about what and when you respond. Hopefully, you already know who your target audience is, what they value, and what they’re looking for. 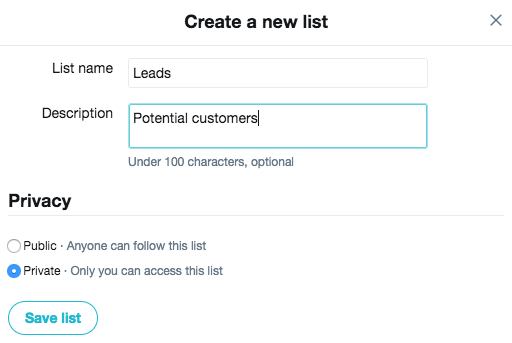 By creating a private list of sales leads and prospects (you don’t want your competitors to see who you’re following! ), you can keep on top of the challenges they may be facing in their business or industry so you can tailor your solution. 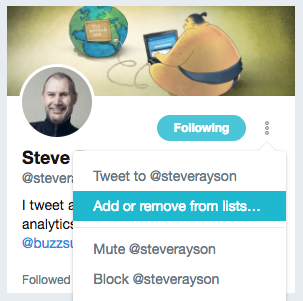 To create a list on Twitter, go to your profile and click the “Create new list’ button in the sidebar. 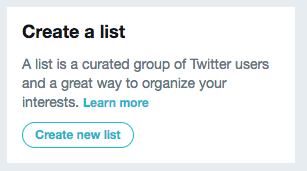 Then create a new list, giving it a name, description and making it private. Once your list is created you can find users and click on the menu next to their profile to add them to your list. 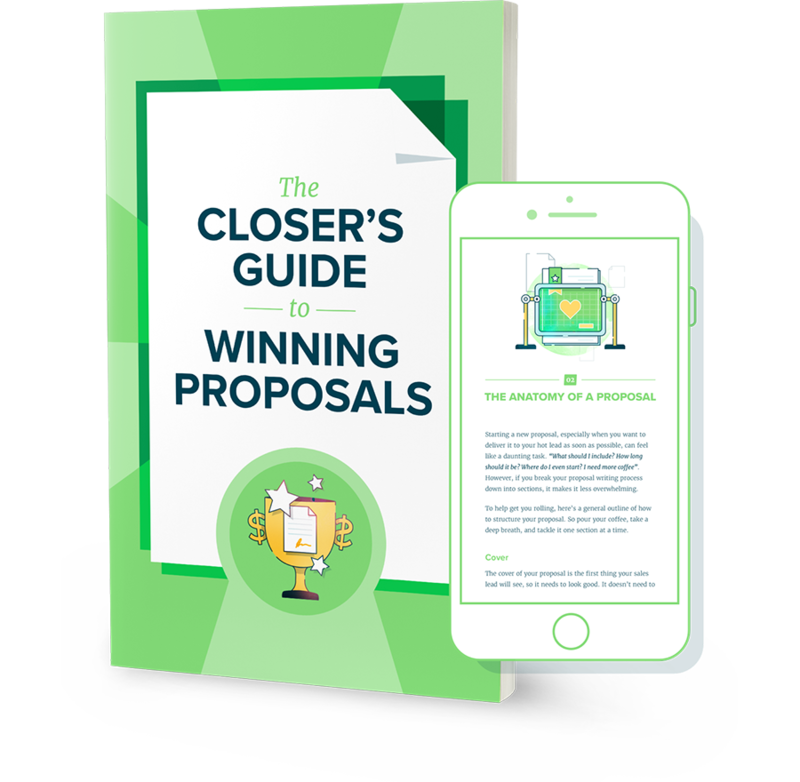 You don’t want to interact with these prospects with the same frequency or familiarity as you might with your existing customers, but you do want to watch for opportunities to provide value or assistance in the face of business challenges you can help solve. A great free tool to help you with Twitter monitoring is Warble. 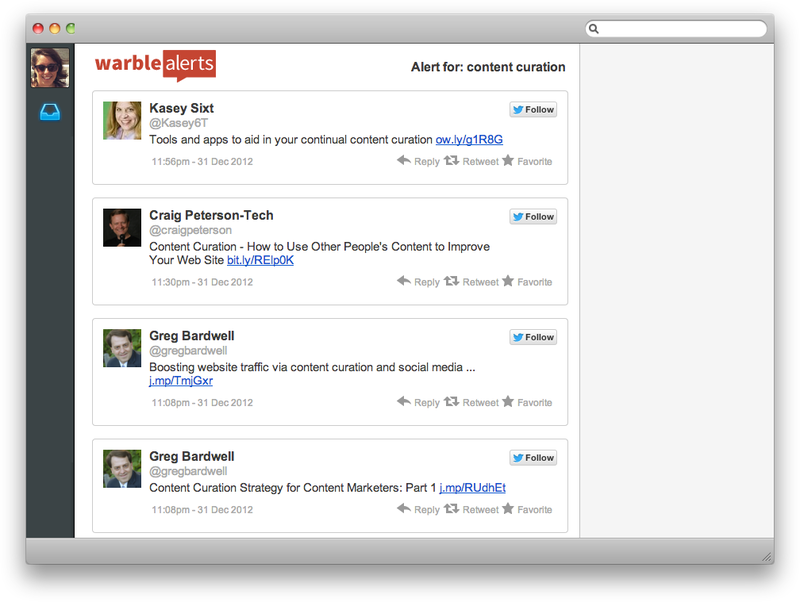 Warble lets you track keywords, hashtags, mentions and more on Twitter. It’s very simple to use - you set up alerts based on particular keywords, and then Warble sends you an email every day with all the tweets that contained those keywords, hashtags, etc. in the last 24 hours. This gives you an opportunity to listen, to learn, to respond, and to discover new leads, where and when it’s appropriate. For example, if you’re Nike and you want to know what people are saying about your competition, you could set up a Warble for Adidas or Reebok and Warble will send you a list of all the tweets that mention them that day. Or maybe you’ve just published an epic guide to the best shoes for running marathons. Setting up a Warble for some of the keywords words around running shoes, marathons, etc., will help you find the conversations your target audience is having, giving you an opportunity to add value by providing a helpful comment and link to your content. Instagram is more than just pretty pictures (although we do love the pics!) With Instagram DM (direct message), it has become a powerful social selling tool, delivering valuable networking and lead generation opportunities. First, selling 101: you need to find the right accounts to target, as in your target audience. 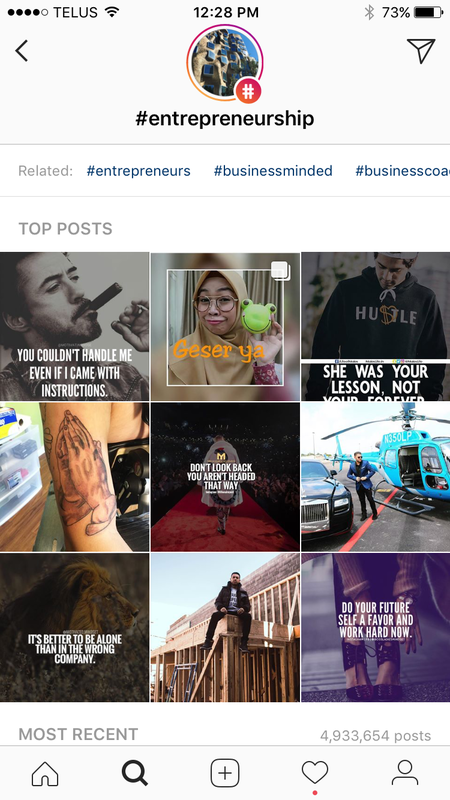 With Instagram, you can search by keyword hashtags, users, or location. With hashtags, search for terms that are common in your industry or niche, like #podcasts or #marathonrunners, or #digitalmarketing. With users, you can search for specific influencers, partners, or potential customers you want to connect with. And, if your market is local, or you want to build opportunities specific location, you can filter your searches by city. So maybe #marathonrunners in Toronto. Don’t get caught up on the number of followers each account has. You want quality over quantity in terms of the kind of engagement this account receives. You don’t necessarily want someone with 75,000 followers if their content is low quality, they post infrequently, and there’s not a lot of interaction between the account owner and their followers. You want active, engaged, and engaging accounts. Once you’ve found some accounts with real potential, reach out to via Instagram DM. But remember the rules of social selling: you need to provide VALUE and you need to be authentic and human in your approach. Don’t go in with cold outreach guns ablazing to sell your product or service. This is about nurturing a relationship and the DM is just the very first step. Approached the right way, it could turn into a lucrative business opportunity. There’s no reason to be intimidated by social selling and there are lots of reasons to be doing it. It’s really no different from the sales best practices you follow now; you’re just applying them in different contexts with potentially more effective results. Social selling allows you to connect with your leads when they want and need, rather than interrupting them with annoying cold calls and forgettable emails. It’s all about sparking a well-timed and placed conversation that can lead to a mutually beneficial relationship.